Yet again J. G. Ballard’s inimitable clairvoyance is on display in this timely, powerful story of a community shattered by a massive act of violence. 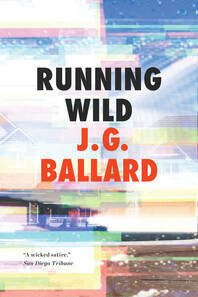 A massacre rocks a suburban utopia—thirty-two adults murdered, and their children missing—in Running Wild, one of Ballard’s most dazzlingly subversive works of fiction. “To Ballard, lack of choice . . . is a dangerous state of being. In Running Wild, it’s not the children who are doing the running; it is the society that raised them” (San Francisco Chronicle).